Paperback, 416 pages, 11.8 x 18.7 cm, 4.6 x 7.4 in. 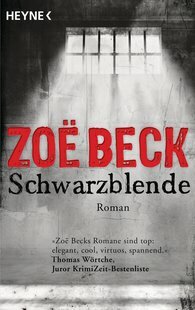 "Zoë Beck´s novels are top: elegant, cool, masterly and thrilling"
London. Cameraman Niall Stuart is on his way to the supermarket when before his very eyes two men attack and kill a soldier for no apparent reason. Niall films the scene with his mobile. One of the killers comes up to him holding a blood-covered knife and calmly tells him why he has committed the murder. "This is crime literature at its best: radical, gripping, topical – essential."